Hello little readers! Here you are presented with the loveliest creatures our planet has produced, the best pets you can ever have, the creature most loved by us humans! 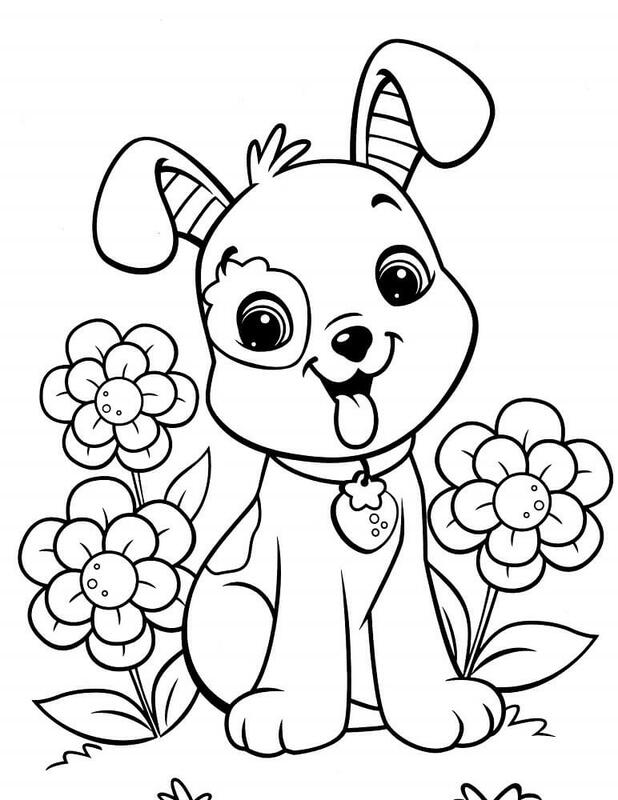 If in your colorful mind you are imagining puppies, it is time to splash paint on free printable puppy coloring pages. Dogs are wonderful creatures – not because of their 10,000 times more powerful sense of smell, or 4 times better hearing power, but because of the many ways they can help us. From biting criminals down to sniffing explosives, they can turn into those innocent creatures that you can cuddle with! And when they are young pups, nothing in the world can resist their cute whimpering. With howls sweeter than sugar, and barks softer than their fur, they are here for you. 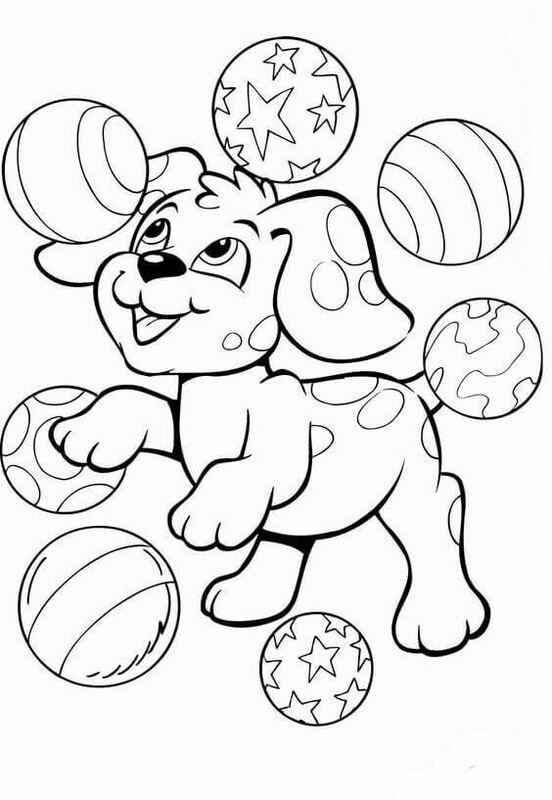 So give them some love with your artistic skills on our free puppies coloring sheets to print. Take a look! Julie loves skipping, especially with her puppy, Pancake. Even Pancake loves skipping with her. But something looks amiss! Yes! Julie has forgotten to take Pancake for his regular walk. That is why Pancake looks sad. Walks are an essential requirement for dogs and puppies, especially for the energetic ones like this skipper Pancake. 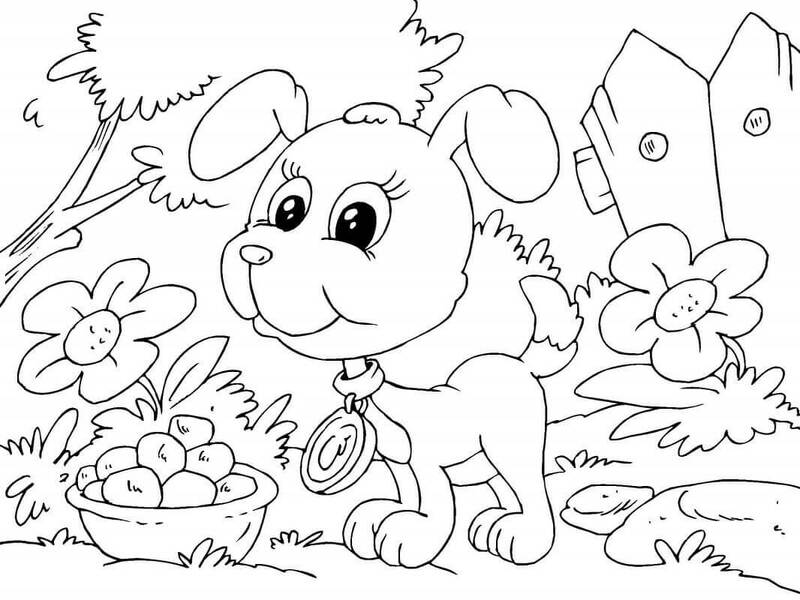 Let’s give this puppy coloring page some colors to make it energetic as before! Meet Frodo, the sweetest puppy! The persistent smile on his face appeals to every creature, like this little bird. He loves prancing around on the grass, meeting new friends everywhere – from butterflies to bulls. No one has heard or seen him angry yet. Even cats can’t irritate him! So let’s color him as bright as his smile. The flying cutie, about to unpleasantly surprise the kitty Snowbell, is named Antony. One of the naughtiest canines in the neighborhood, he loves running, jumping, chewing, dancing, and scaring the cats! Frodo’s brother from another mother, he too has a persistent smile that is just too cute to scold. Cats hate him, and you are seeing why! So fill the sheet with flying colors. She reached her new home when Christmas bells were ringing, so she was named Bella. She is the sweetest compact ball of fur when she sleeps, and abundance of energy when awake. She is great at playing hide-and-seek as she can fit anywhere, like this sock on Christmas. 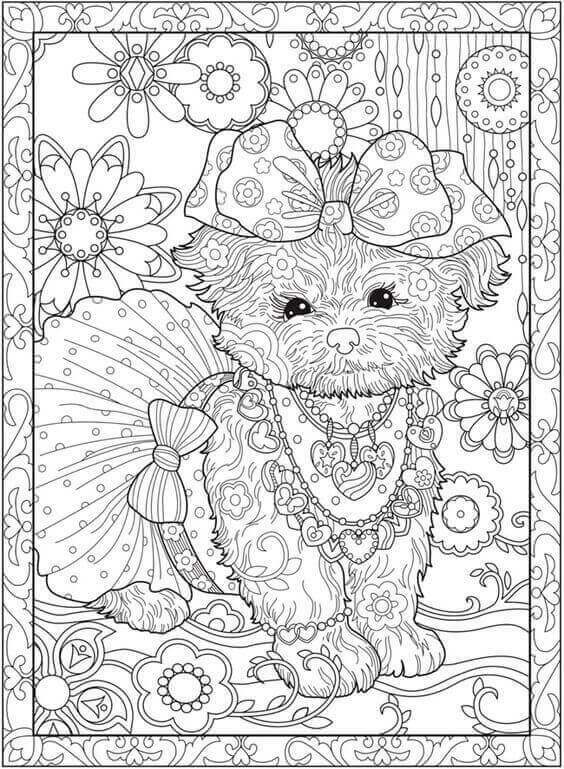 This is one of the cutest puppies coloring pages in our opinion. Sandra has just given birth to three pups – Ralph, Gabe and their sister Lucy. This new pack of Golden Retrievers loves chewing. Now Ralph and Gabe want the same sock to chew. So they are having their favorite game of Tug-of-War with the sock while Lucy calmly observes them. Soon, they might learn the famous game Dog-and-the-Bone, or Dog-and-the-Sock, whatever the case may be. 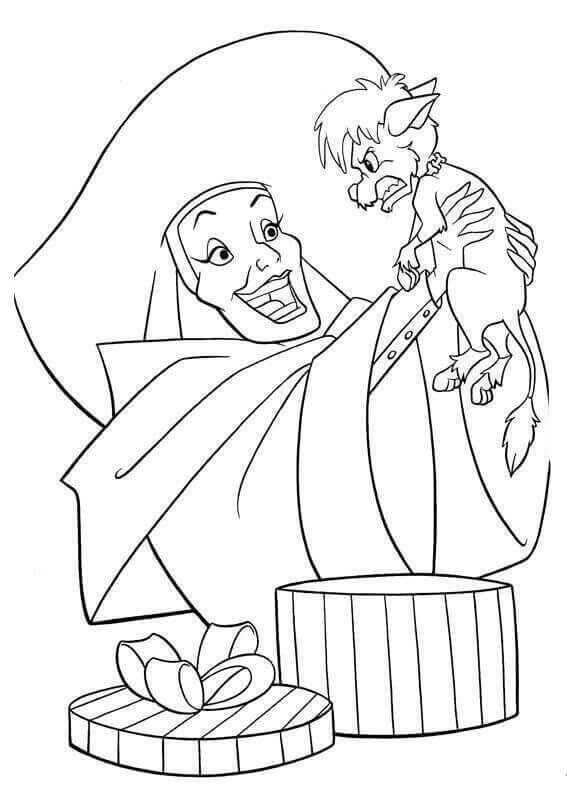 Cruella has got a gift – a new pup. Apparently, the puppy is either aware of her character in 102 Dalmatians, or he has sensed evil in her. Usually, dogs don’t hate humans. This is a rare sight where a pup is angry with a human. Otherwise, they are gleeful and playful creatures. Susan received the gift of her life on Christmas. Her name is Frooti. She is, like Susan, a good girl who loves playing with dolls. The two girls spend every moment together playing or cuddling. Susan grooms Frooti’s fur every day and in return, Frooti covers Susan’s face with her sweet kisses. 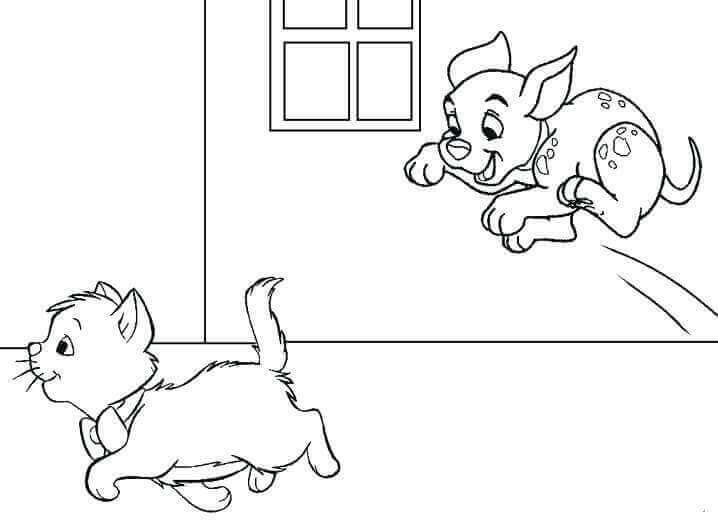 This sketch shows the first time when Frooti met Susan. Isn’t she happy? Color her happiness as you see it. 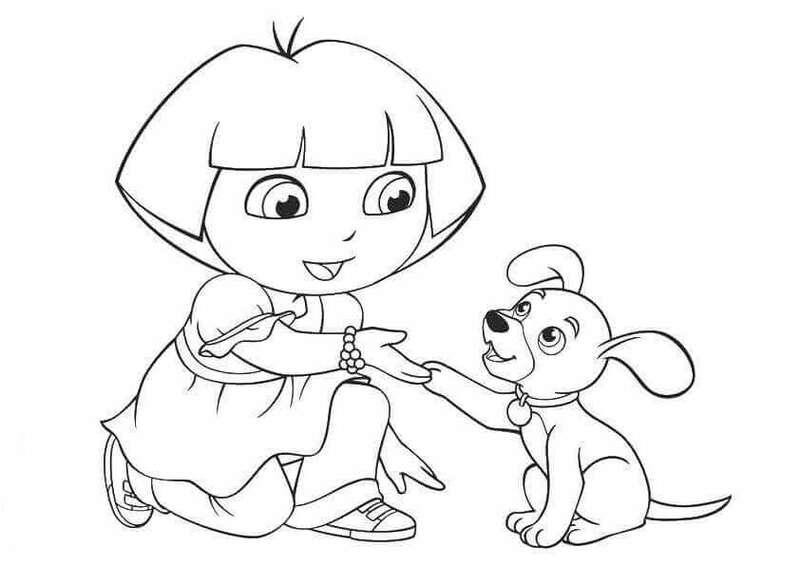 Dora, the explorer, is training her pup Perrito to shake hands. Perrito is happily giving her paw to Dora. Don’t they both look happy? Dora has taught her pup to shake hands by giving him treats whenever he did it successfully. By this method, dogs can be trained to do a lot of things – from fetching the ball to retrieving lost trekkers under the snow of alpine mountains. 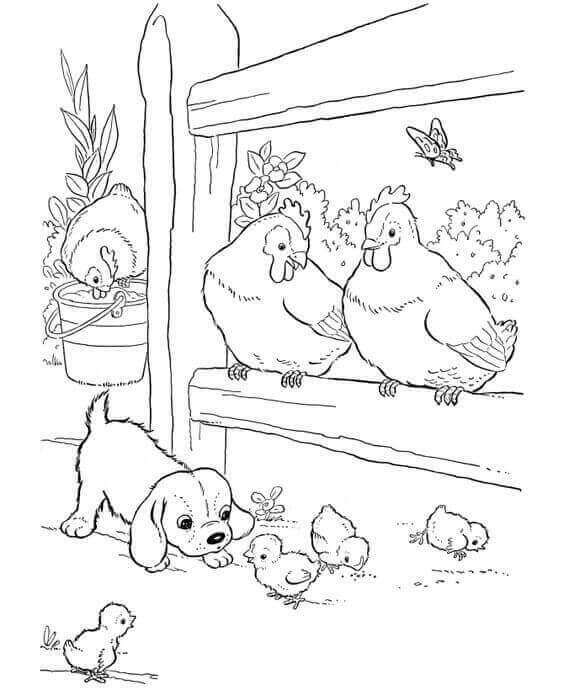 What would you teach your pup to do? Meet Potts and his new pack! Potts had one son – Ace. He used to be sad because he had no one of his age to play with. Seeing his son sad, Potts got sad too. Then Joy arrived with her two sisters Amy and Lea, bringing joy to their lives. Now you see the three girls wishing to play with their new brother while Ace is shying away from his dad’s head! Nancy loves her poodle Paris, and is obsessed with dressing her. Both of them are fashionable divas. Nancy mostly uses her own old clothes that don’t fit her anymore. A few stitches here and there later, Paris gets a new attractive outfit. Let’s see, how attractive you can make both the girls look. Susan has brought Frooti out in the garden as the spring season has arrived. And she totally loves it. She is elated to see the colors of nature that are in abundance in the form of flowers, bees, and butterflies. Her happiness made her shine with such joy that her tail attracted a butterfly! So fill this sheet with shades of glee! Walter was busy painting his scooter, but it was time to play with Scott. So Scott came to visit Walter. Seeing his pal busy, he got excited and wished to help. This confused Walter. He is thinking if his pup is going to use his whiskers to paint or is he simply enjoying a new flavor? Jill is a curious furry pup. She has a special love for fruits and vegetables, and bites them whenever she gets to. But this Halloween, she came across an angry pumpkin. She never gets scared, but now she seems confused. She wonders why other pumpkins never showed eyes, and teeth, and will it bite her? Lupo is now a year old, and his family is celebrating his first birthday with a cake for him. All his friends have come to the party. He got many gifts, balloons, and got to wear a birthday cap! He, being a good boy thanked his family. Look how his big eyes are saying “Thank You”. 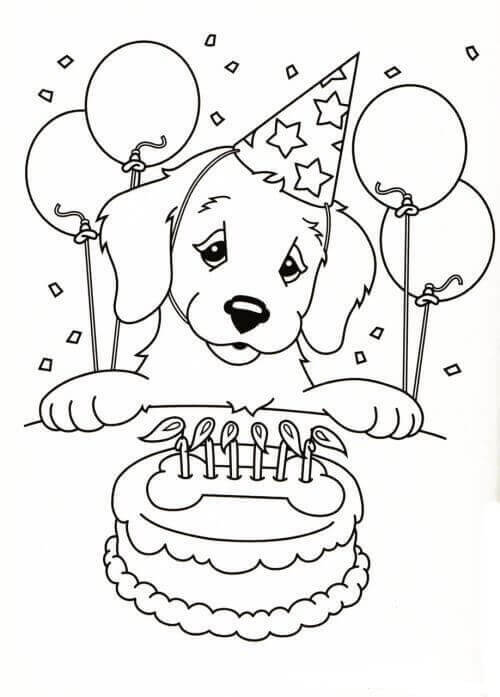 Color his day and turn it into a golden memory of a Golden Retriever. 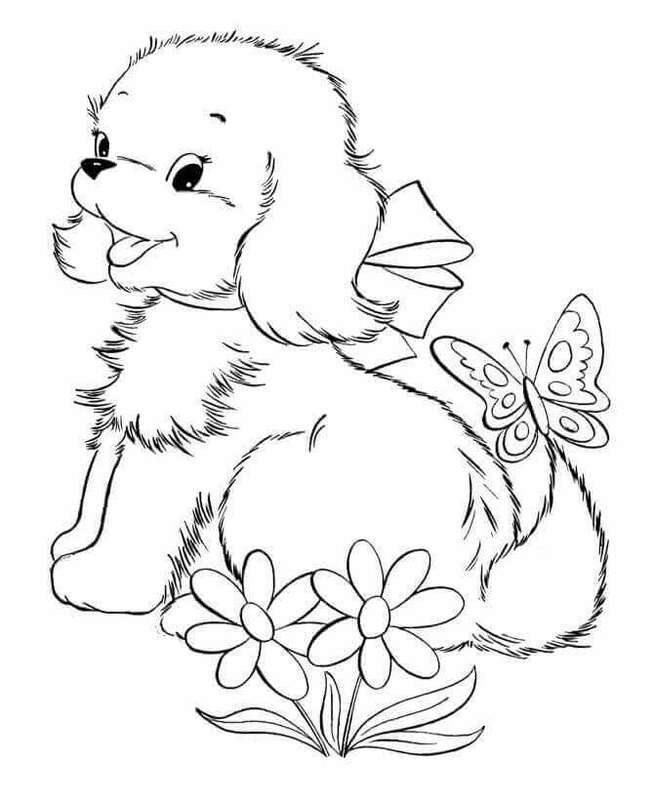 Meet Pupcake, Strawberry Shortcake’s pet! He is an amiable creature, with the strawberry-shaped eye patch being his most striking feature. He is probably named Pupcake because of his sweet smile. He is enjoying the spring in his garden with flowers all around. 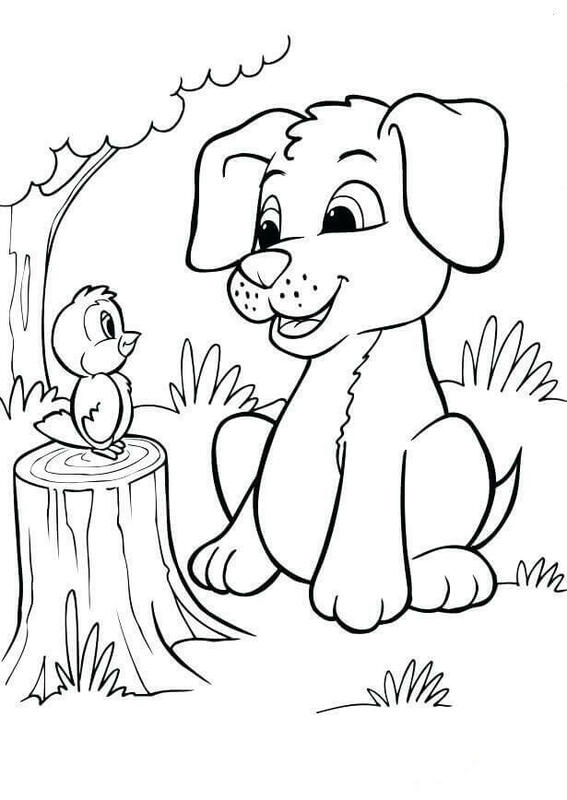 Color and tell him how colorful spring can be! Dumpy is a hard-working Cocker Spaniel who can find the bones hidden years ago. This time he found a toy that was hidden five years ago by Stuart himself. Delighted by his excavation, his happy master Stuart decided to reward him appropriately. His reward was a bubble bath. Everyone looks pleased with this reward, except Dumpy, who would rather roll in mud and dance in the dirt. He just hates bathing! 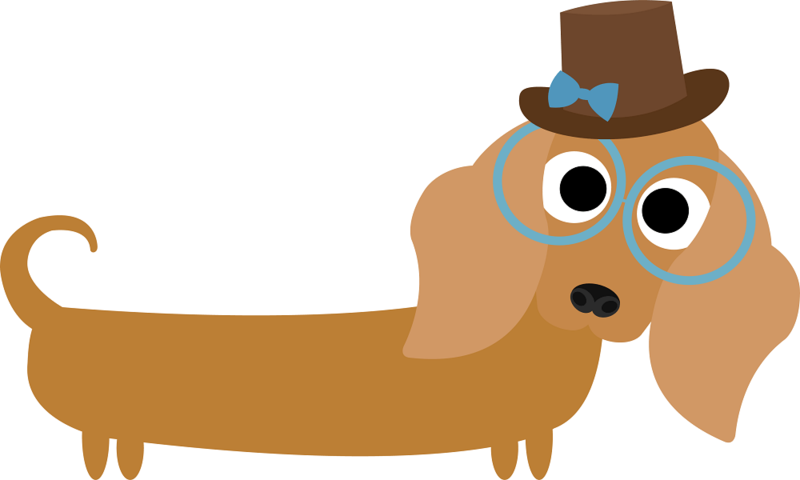 Sam takes pride in the shining soft fur of his little Dachshund pup Todd. 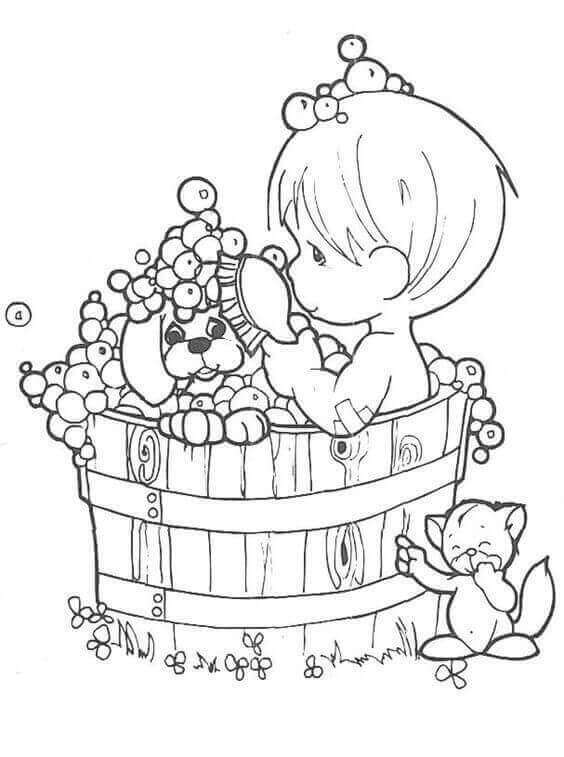 He ensures it stays that way by bathing him regularly. When Sam forgets, Todd attracts his attention by dancing around Sam. With soap, water around, doesn’t he look delighted? Let’s see how you make Todd’s fur shine! 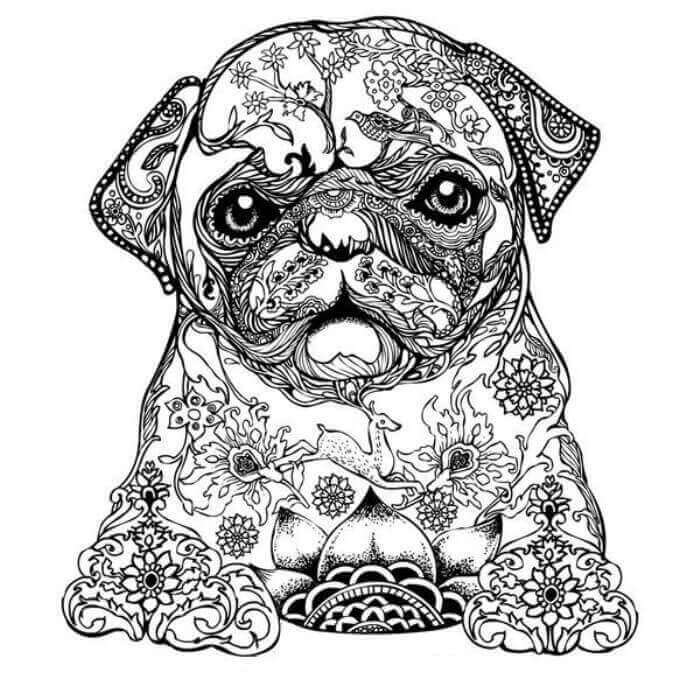 Pugs are considered clowns of the canine world. If you have one, you would never be short of affection and entertainment. They will just sit on your lap and enjoy the luxury. They will surely get you looking at them some way or the other if you put him off your lap. They love attention, so they show-off a lot. Compact, cute, clever – these qualities make them an ideal pet in an apartment. 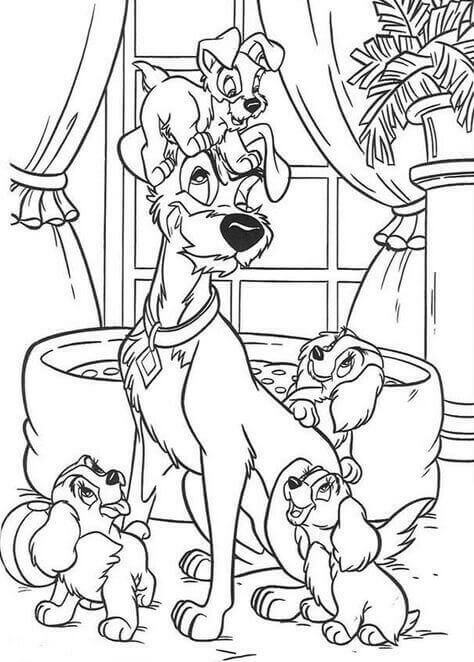 See if you can make this attraction-oriented pooch more attractive! This is a well-groomed, fashionable Lhasa Apso. The Lhasa breed originates from Tibet. Courageous and independent, they were used as palace guard dogs. They do things to please themselves, not you. But if your pleasure pleases them, they’ll do that too! So color this royalty as vividly as you can. Aren’t they just adorable? Pups-in-a-basket is the most wonderful idea of a gift for anyone (assuming everyone loves dogs). Here we have three Labrador Retriever pups. Labrador is the most popular breed of dogs. They are energetic, active and friendly. One of their prime loves is food – they will chew and eat anything that fits their mouth. Sometimes, without exercise, they grow obese. So make sure they stay fit and healthy once you get them. Twins Poppins and Polo have come for a picnic to enjoy the magic of spring season. They have brought along a basket full of bones of various flavors. The weather is fantastic, the sun is bright, and out of somewhere come the colorful butterflies floating in the serene breeze. Seeing this gorgeous view, Poppins is perplexed thinking whether to chase these beauties or peacefully gaze their flight. Jojo loves playing with balls. One is never enough for him. Throw six or seven of them, and you will see him bouncing along with them. Full of energy all the time, he sleeps longer than other puppies of his age, as he plays more than them. Look how he tries to juggle them now! Meet Nora, the water pup. No, it is not a breed, but a perfect description of this hydrophilic canine. She just loves swimming and getting wet. As spring has arrived, she is enjoying her pool bath in the garden. Don’t go close to her if you wish to stay dry (she loves splashing too). Maybe she is looking at her master, who is about to be splashed! We have met Lucy. She is out on a farm for a trip with her family. Her brothers are playing somewhere else while her curiosity brought her to the creatures she has never seen before. As she sniffs some chickens, the hens are getting amused by their new visitor. Maybe, she will make some new friends here! Puppies are so full of energy that they hardly ever rest. Here, Smiley, the pup is resting because he is tired of an outing in the lawn, where he played fetch. He ran, sprinted and jumped to the fullest. Now he must rest to regain his energy to play again the next day. If you don’t get a pup tired well, he will probably vent out energy by barking or chewing down your furniture. Sad or hurt puppies are some of the most heart-wrenching cute things to look at. Like this one – Tyson. Tyson is a quiet, disciplined, curious pup who never bothers anyone. Just give him a walk, feed him properly, pat his head, and he will stay happy and quiet. But the moment someone says “Let’s bathe”, he hides. 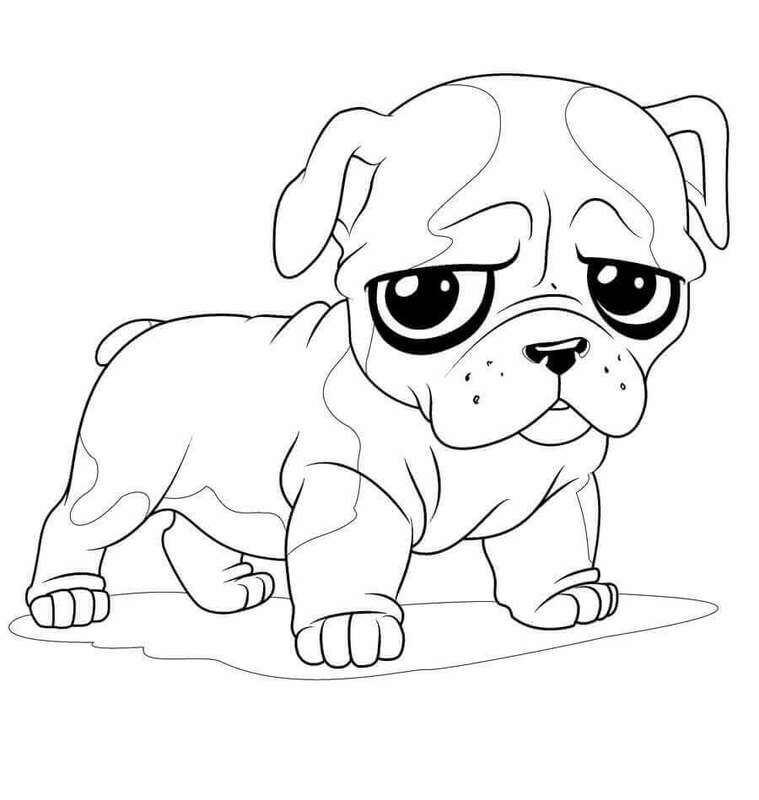 After a long game of hide-and-seek, you are seeing him drenched and sad. Pups love cuddling. 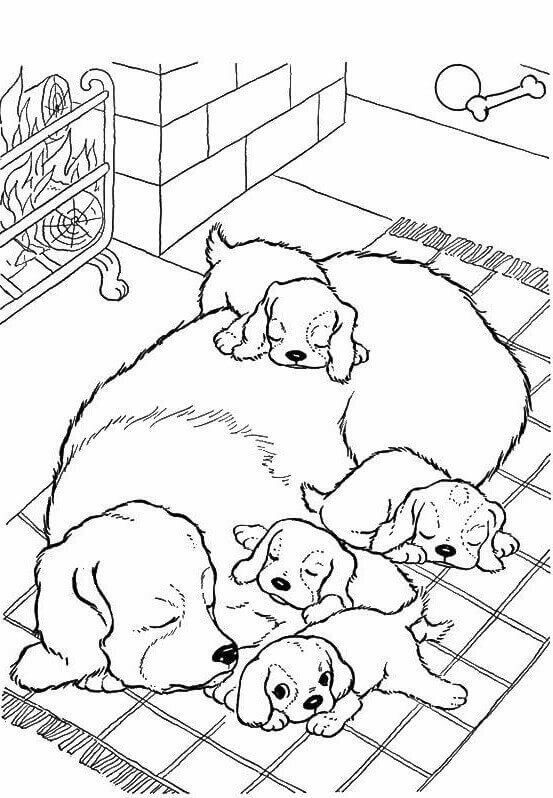 Here we see a family of Golden Retrievers sleeping together after an eventful day. They share their body warmth to comfort each other. When awake, you will see them bouncing around. Now, they peacefully sleep looking cuter than before. Pupcake has met his mistress after a long day. See how happy he looks! This is the way pups greet their master when they meet after a separation (due to work or vacation). Strawberry Shortcake also looks glad to see him again. 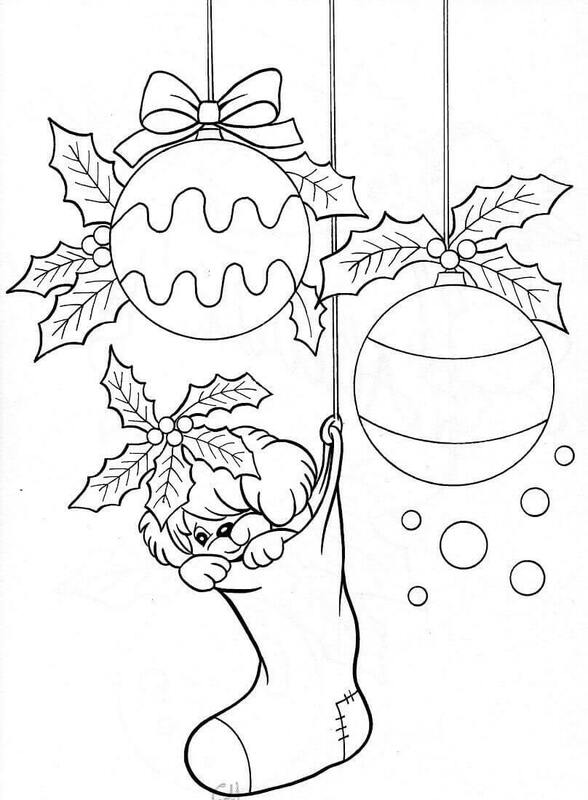 Color them and make them look happier! Sweet guy Waldo is everyone’s darling. He is known for his cheerfulness, friendliness, discipline, intelligence, and good behavior. He loves visiting the garden and prefers having his meals there, so that he doesn’t litter indoors. That is why he is called a good boy! 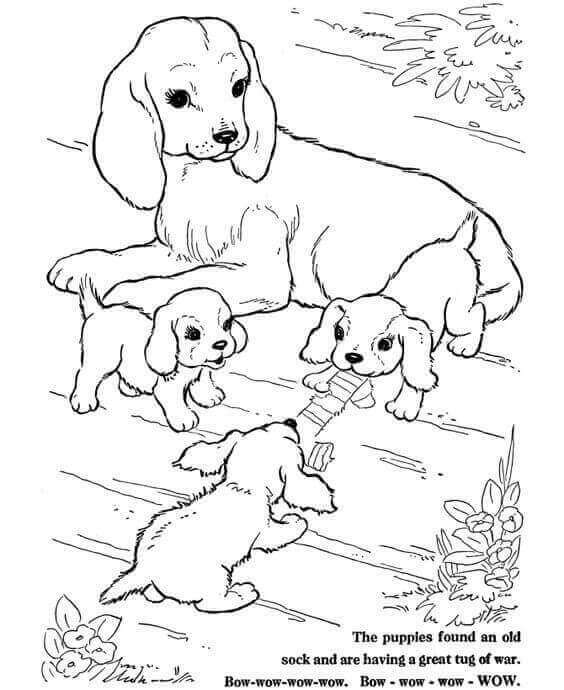 We hope you liked our free printable puppies poloring Pages as much as you love puppies. 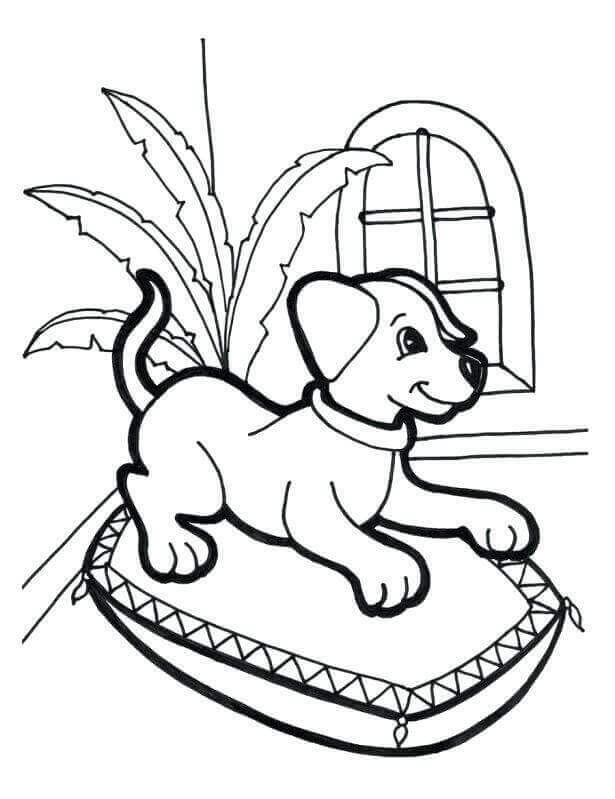 Print out all these puppy coloring sheets, color them as per your vivid imagination and make these lovely creatures look lovelier! 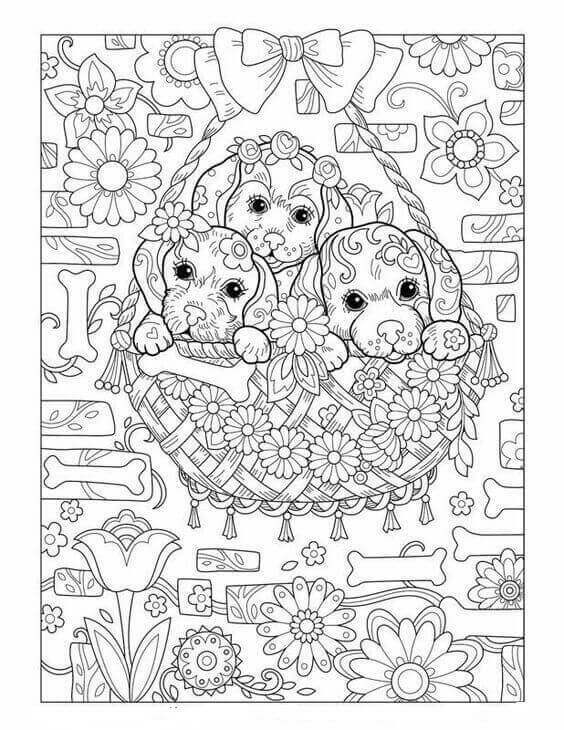 And don’t forget to check out our Easter coloring pages in the meantime.